Jasper Health is proud to offer a comprehensive list of Allied Health services. Below you will find the service list accompanied with a brief description of our practitioners details and special interests. Vivienne firmly believes that educating her patients to understand the nature of their condition is the key to pain management and recovery from injury. She provides hands on treatment combined with exercise prescription, ergonomic advice and lifestyle modifications to help her patients get back to their normal. Vivienne thoroughly enjoys treating the wide variety of conditions that patients present to her with, and is enthusiastic about the role she plays in helping her patients overcome injuries and manage pain. Vivienne has undergone further training in Clinical Pilates with specific training in Pre and Post Natal Pilates. Vivienne finds Clinical Pilates to be very beneficial in the long-term management of conditions such as Lower Back Pain, Osteoporosis and Osteoarthritis as well as for helping women in the Pre and Postal Natal period to overcome pregnancy or birth related pelvic floor dysfunction. Vivienne actively takes an interest in her own health, regularly practicing Pilates and Yoga as well as going for walks along Melbourne’s beautiful bayside beaches or the Yarra. Vivienne and Connie operate under the banner of Osteopaths of Bentleigh, and have their own website with further information. Visit https://www.osteopathsofbentleigh.com.au/ for details. 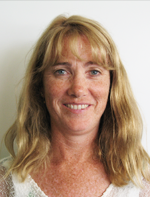 During her studies, Connie worked closely with the De La Salle Old Collegians Football Club as a sports trainer. She has a keen interest in working with prenatal and postnatal women as well as babies and children. Connie has a passion for treating everyone; from expecting mothers to improving musculoskeletal function of babies and children, including newborns. Connie has undertaken many Postgraduate courses related to treating pre and post-natal women, treating infants, advice regarding breastfeeding, recognising tongue ties and teaching calm birth skills. Connie strongly believes in the Osteopathic philosophy of treating the cause of the pain rather than just the symptoms and enjoys the challenges that this brings. She employs a wide variety of techniques both structural and indirect. Connie is a Bentleigh local and enjoys cooking, keeping active and catching up with friends in her spare time. 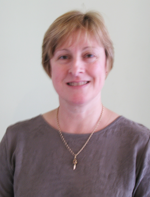 Jenny is an Accredited Practising Dietician with over 25 years experience. Her qualifications include a Bachelor of Science (Nutrition major), Post Graduate Diploma of Dietetics and a Post Graduate Certfiicate in Exercise Medicine. She is a Member of the Dietitians Association of Australia and has provider numbers with Medicare, Department of Veterans Affair and TAC. Jenny’s background includes clinical dietetics at five hospitals as well as management experience in hospital Food Service and Community Health Services conducting group programs and health promotion, now working exclusively in Private Practice. Jenny consults on a wide variety of nutrition disorders including weight management (both overweight and underweight), diabetes, heart disease, hypertension and bowel disorders to name a few. 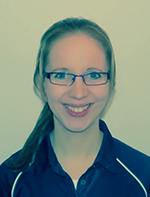 Emma is an Accredited Exercise Physiologist (AEP), specialising in clinical exercise prescription for both the treatment and prevention of chronic health conditions and injuries. 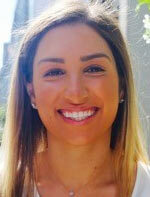 She has a special interest in Neurological and Cardiac-Respiratory Rehabilitation. 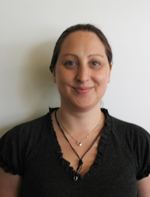 As a Health Professional Associate with Move, muscle, bone & joint health (previously Arthritis & Osteoporosis Victoria), Emma also has extensive experience and knowledge in assessing and managing various types of musculoskeletal conditions. Emma provides assessment and group classes for type 2 diabetics at Jasper Health, and runs Gentle Exercise Classes for older adults within the community. She also lectures and writes courses within the Allied Health & Fitness industries. Sean Sullivan - B.Pod. M.A.Pod.A. Sean graduated from La Trobe University in 1995, and has been established in the area for almost 15 years. Sean deals in all aspects of podiatry incldung: heel/arch pain, diabetic care and assessment, postural/buimechanical analysis, orthotics, flat feet, corns/calluses, nail care, and foot related knee and hip pain. Pensioner/seniors discounts are available for standard consultations, and HICAPS are available on site for clients covered through the priate health scheme. Clients eligible under the medicare ((EPC) scheme are bulk-billed. Sean is interesetd in health and fitness, and when not at work, he enjoys home renovating, playing violin, and spending time with his wife, Nicole and this young three children. An holistic therapy that uses a variety of specialised techniques to locate and repair musculoskeletal injuries as well as alleviating the symptoms of common complaints of pain and tension. Alexandra has been in the industry since 2004, working hard to re-educate and revitalize all clients from sports professionals to corporate executives. More information about Alexandra and the services offered are available to view on her website. Heather has been practising Traditional Chinese Medicine (TCM) for 7 years. Heather’s passion for TCM occurred after experiencing its profound benefits on her personal health, sparking the desire to study and qualify as a practitioner, thus enabling her to offer relief and effective assistance to others with health concerns. In clinic Heather uses a combination of acupuncture (including Moxabustion), Chinese herbal medicine, cupping, tui na (massage), diet and exercise therapy for her treatment of a wide range of conditions including pain, stress, musculoskeletal, gynaecological, digestive and general chronic problems. 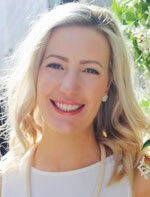 Heather is a registered practitioner with the Chinese Medicine Registration Board of Australia (CMRBA). 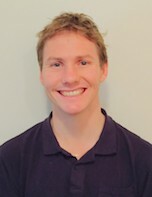 Mark a registered Myotherapist, Personal Trainer, and Pilates instructor, who has been practising for ten years. 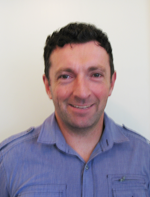 He has also lectured at RMIT University training future Myotherapists, and currently works as a Trainer and Assessor for students studying Personal Training. He is experienced in providing treatment for injury prevention, health and fitness maintenance, and treatment during injury and rehabilitation. Having been a competitive cyclist and swimmer, Mark understands the importance of balancing training and recovery to prevent injury. Mark has worked with a range of sporting clubs including the Australian Squash Team, Springvale districts football team, swimmers, runners, triathletes and cyclists. He also treats WorkCover patients, is experienced in pain management and improving function in older adults. Treatment modalities include, various forms of Soft Tissue Therapy, Myofascial Dry Needling, Neuromuscular Techniques, Stretching, Non-thrust joint mobilisation, Corrective exercises, advice and management. Mark also provides personal training services and Pilates classes at Jasper Health. 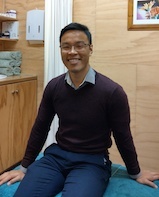 Binh is a registered physiotherapist with experience across all patient types and has a holistic approach to patient care, assessing all aspects of a patient’s life and condition to implement long-term solutions. Binh has a balanced approach to life and is passionate about improving the lives of others using physiotherapy, meditation, and lifestyle choices. He is also a keen martial artist and understands the health and rehabilitation requirements of athletes. Dr Efrat Zion is a clinical psychologist and hypnosis practitioner who completed her Doctorate of Clinical Psychology at Monash University in 2004. She has also completed a Diploma of Clinical Hypnosis. Efrat has worked in both the public and private sectors with children, adolescents, and adults. In the public setting, she has worked in child mental health, aged psychiatry, pain management, and rehabilitation. 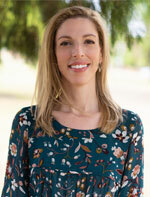 In her private practice, Efrat has been providing counselling and therapy to adolescents and adults who are struggling with a range of emotional issues (including anxiety disorders, depression and mood difficulties, grief, and stress), chronic health conditions, life transitions (such as adjusting to parenthood), and other challenges. In addition to working in private practice, Efrat consults at the Mother Baby Unit at Waverley Private Hospital where she is available through referral. Efrat is passionate about helping others find balance, solve problems, and experience a greater sense of fulfilment and vitality in their lives.